The First Years Breastflow Memory Pump Only $54.99 + FREE Shipping! You are here: Home / Great Deals / Amazon Deals / The First Years Breastflow Memory Pump Only $54.99 + FREE Shipping! Head to Amazon for this fantastic deal! 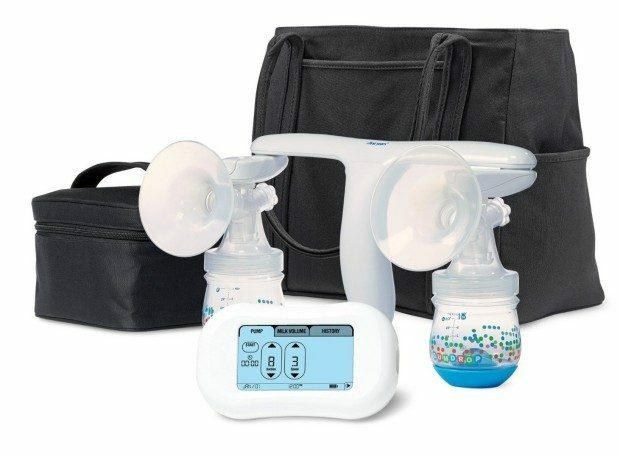 Pick up the The First Years Breastflow Memory Pump Only $54.99 + FREE Shipping! Normally $129.99, you save $75! Breast flow Memory Pump by The First Years is designed to make breastfeeding more comfortable and efficient. It features an easy-to-use digital touch screen that automatically tracks and stores data for up to 10 sessions! It automatically records important information including the date and time, suction and speed. And for a complete profile you can enter your milk volume for each session. Plus, the unique handle allows you to double pump with one hand!